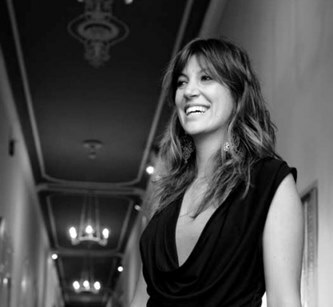 Valentina De Santis is proud owner and CEO of Grand Hotel Tremezzo, the legendary palace that sits overlooking Italy’s famed Lake Como. Valentina says that she feels proudest when the hotel team ‘present each new guest arriving to Tremezzo a bright hotel with a lot of news every year and updated facilities in one of the most fascinating destinations of the world’. You could say you grew up at Grand Hotel Tremezzo (which your grandfather bought in 1975). What made you want to follow in his footsteps? Initially I worked as a strategic consultant in the luxury fashion industry, which I loved! In 2010 as my family gathered to mark the hotel’s centenary, my father convinced me to follow in his footsteps and succeed his position at the hotel. In no time at all I loved working in the hotel industry. Today, I am so proud to carry the torch for my family and our traditions and celebrate Italy’s authentic sense of hospitality. What is the single best/defining thing about The Grand Hotel Tremezzo? What is your favourite spot in the hotel? It has to be restaurant La Terrazza at breakfast with its classical music playing as the sun comes up over the mountains, its rays reflected in the lake. I also particularly love when we organise romantic ‘destination dinners’ on the private terrace of our marvellous Rooftop Suites. I would like my husband to arrange one for me soon! You have a new spa. Tell us about that. Following a multi-million project, the hotel will re-open with a brand new addition to its T Spa, which is partnered with ESPA. 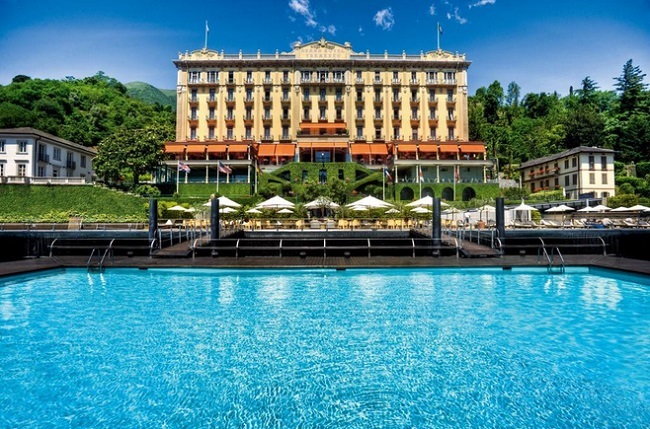 The impressive Grand Hotel Tremezzo is transforming its 18th century Villa Emilia unveiling over 1,000 sqm of wellness space dedicated to the spa experience for its Guests. It will comprise of five-treatment rooms – offering ESPA treatments and products - a Hamman and nail bar over three storeys, in addition to the breathtaking infinity pool plus a 3-storey gym. The spa has been designed by architect Ruggero Venelli who has already shown his expertise in the T Beach and the Rooftop Suites. Within the historical building of Villa Emilia, the hotel will add a wonderful new spa suite - Suite Emilia. It will have private access to the T Spa and will be the perfect escape for couples looking for that rejuvenating break. Gourmet Discoveries, that’s the reason why we have created five dining experiences at Grand Hotel Tremezzo: La Terrazza fine dining, T Bar, T Beach, T Pizza, L’Escale Fondue & Wine Bar. We have created each of them with Gualtiero Marchesi who is a maestro in the kitchen and will ensure that all our guests experience the quintessence of Italian cuisine when they stay with us. The service and hospitality. When I am travelling, it is important for me to feel at home. That’s luxury. Apart from your own, what are your favourite hotels/resorts (and why)? I love boutique hotels and family orientated hotels. Song Saa, the private island in Cambodia and the four charming bungalows of the Tea Trails estate in Sri Lanka will always hold a special place in my heart. I will never tire of New York, it’s such an amazing city! It’s the juxtaposition of its positives and negatives that make it so unique. There is no other place like it on earth. It’s impossible to choose… one of the best food experiences I had was in Japan. From sushi to kaiseki, shabu shabu to tempura, I have never eaten so well! British Airways because its business class is simple, functional and comfortable all at the same time. I don’t care of drinking champagne on a flight, I just want to have a good sleep! A private picnic I enjoyed with my husband during our honeymoon on the abandoned island of Santa Caterina in the Bazaruto archipelago in Mozambique. I will never forget the beautiful colours of the beach and the sea. When we arrived, a barbeque was awaiting us and we enjoyed delicious fresh fish which had just been caught from the sea. Nothing has ever felt more luxurious than having the most beautiful private island just for the two of us. Comfort combined with the uniqueness of being in an amazingly beautiful property. Emotion. Even if there are many beautiful hotels, the authenticity of the experience makes all the difference. This is what we create for our guests. We call it T Vacation!